He's been on house arrest for nearly four years, but the inability to be in the spotlight may constitute cruel and unusual punishment for Palestinian Islamic Jihad (PIJ) operative Sami Al-Arian. A website called The Islamist posted what it says is the complete text of a statement the former University of South Florida professor and PIJ governing board member made via Skype Wednesday. In it, the man who created and ran the "active arm" of the terrorist group in North America and sheltered its current leader, decries his "persecution" and laments the plight of others convicted of supporting terrorist groups such as Hamas and al-Qaida. The speech marks "my first public address in the U. S. in over nine years," he says, and comes despite attorneys' advice not to make public statements. "Nothing short of our very survival as free people living in a free and democratic society is at stake," he says, casting America as a security state in the wake of 9/11 law enforcement actions. "We, as a community, are at the forefront in the fight to reclaim the foundations and principles that established this great country." Al-Arian still faces a criminal contempt indictment issued in June 2008, after he repeatedly refused to testify before a federal grand jury investigating terror financing in northern Virginia. His argument that his 2006 guilty plea to providing goods and services to the PIJ meant he would never have to provide information to the government, be it voluntarily or under court order. The judge who sentenced him in Tampa, along with a separate judge in Alexandria and their respective circuit courts of appeal, all rejected that claim. His attorneys have never produced any written evidence backing up the claim. It is not mentioned in his plea agreement, and when asked at in a hearing whether his plea was based on any additional promises, he said, "I don't recall anything else." The case has been frozen in limbo, however, by U.S. District Judge Leonie Brinkema's refusal to rule on defense motions to dismiss the contempt case despite repeated promises to deliver a written order as far back as the spring of 2009. This week's remarks include an appeal for the National Coalition to Protect Civil Freedoms. He said he speaks "(o)n behalf of all victims of injustice" in seeking support for the group. Then he recites a list of people he says were unjustly convicted on terror charges. "Today Ali Al-Tamimi is serving life for giving a religious fatwa. Tarek Mehanna is serving 17 years for translating a document. Mufid Abdel Kader is serving 20 years because he had a beautiful voice and sang for Palestine. Ghassan El-Ashi and Shukri Abu Baker are serving 65 years each for feeding and clothing hungry Palestinian children ... Aafi (sic) Siddqui was sentenced to 86 years after she was shot and nearly died." Al-Tamimi's fatwa urged followers to wage war against American troops and help the Taliban. Mehanna was convicted of conspiracy to provide material support to al-Qaida, providing material support to terrorists and conspiracy to commit murder in a foreign country. Abdel Kader, Elashi and Baker each were convicted for their work with the Holy Land Foundation for Relief and Development, which illegally routed more than $12 million to Hamas before being shut down in 2001. Aafia Siddiqui was apprehended in Afghanistan in possession of plans for a "mass casualty attack" in the United States, including a list of New York City landmarks. Prosecutors say she grabbed an Army officer's M-4 rifle and fired it at another officer and other members of a U.S. interview team at an Afghan police compound in July 2008. To Al-Arian, they remain "Innocent people [who] are targeted and their families are suffering because of their beliefs, opinions, associations, and advocacy. All first amendment activities- supposedly guaranteed by the US constitution. President Obama said if he had a son he would have looked like Trayvon Martin. Let me tell you, all our sons look like Ahmad Abu Ali, Ziad Yaghi, and Tarek Mehanna." Despite his record of lies and support for murderers, Al-Arian remains a popular figure in the media and among academics. The Miami Herald and St. Petersburg Times (now Tampa Bay Times) provided sympathetic coverage. Georgetown University's John Esposito continues to consider Al-Arian a "very close friend" and "a man of conscience with a strong commitment to peace and social justice." 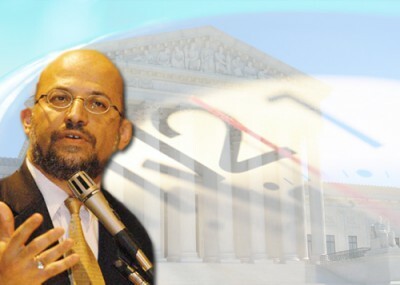 American Islamist groups, led by the Council on American-Islamic Relations (CAIR) never wavered in supporting Al-Arian. When John Esposito of Georgetown and many other American intellectuals and educators support Sami Al-Arian and other convicted promoters of Islamist terrorism, one wonders about their thinking. When Mr. Esposito received a $20 million grant from a Saudi Prince, he promptly renamed the center in Georgetown after that donor. The center is now called His Royal Highness Al-Waleed bin Talal Center for Muslim/Christian Understanding. New York Mayor Giuliani had turned down a $10 million grant for his city from the same donor because of the political strings attached. Could it possibly be that American educators supporting Islamism are more easily influenced by money than American politicians?